Winter should always be this much fun. The bright side of a winter storm is that you can have a lot of fun with the snow after the storm has stopped. 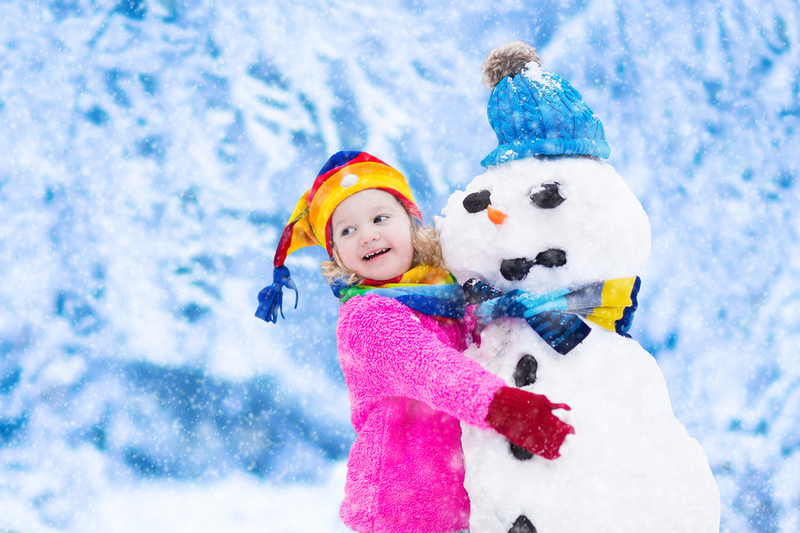 Who doesn’t love snowmen, snowball fights, and all the beauty of a white winter? However, the winter weather is not without its drawbacks, and one major drawback is the damage that a heavy snowfall can cause to your property. It’s important to take steps to protect the exterior of your home so that the snow doesn’t pose a threat to your property. Take a look at some ways that you can keep your home safe in the winter. If you have cracks in your foundation that you’ve been putting off fixing, you need to make sure that you get them taken care of before the winter storms start. If snow builds up around a cracked foundation, you’ll end up with a wet basement when the snow melts and begins seeping into the basement. What’s more, the freezing temperatures can end up exacerbating the cracks. Small cracks in the foundation can be fixed with foundation repair kits that you can find in any home improvement store. If you have larger, more serious cracks, you may want to hire a contractor to fill them with epoxy. This is more expensive than a DIY job, but it can head off much more serious problems. 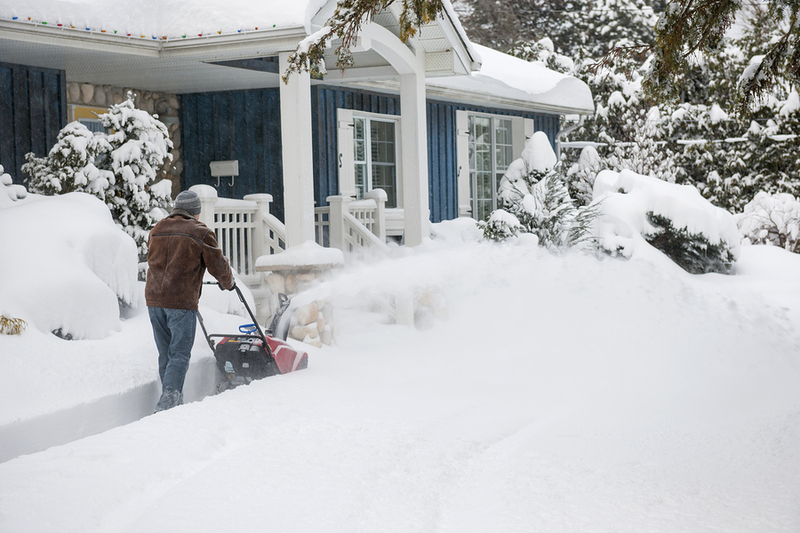 When you’re clearing the walkway, don’t forget to clear snow away from the siding. Snow that’s allowed to remain in contact with the home’s exterior surfaces can really do a number on some types of siding, especially wood siding. Do yourself a favor and inspect the siding around your house for cracks, rot, or weak spots before the snow gets heavy, and have these areas fixed or replaced by a professional. This is not a job that can wait until the spring time – if there are weaknesses in your siding, then the snow can get through and damage the parts of the house that the siding should be protecting. Just fixing up the siding before the snow starts falling isn’t all that you need to do. After a storm, you will have to promptly remove snow on your deck or anywhere else that comes in contact with your siding. If you don’t allow the snow to sit there and melt, it can’t damage the siding. The most important thing that you can do to protect your roof is to prevent an ice dam from forming on it. Ice dams form when heat from your attic melts the lower layers of snow on the roof. The snow slides down to the eaves of the house, which are colder, and refreezes as ice. A buildup of this ice will prevent snow from sliding off the roof, resulting in a too-heavy snow load, as well as roof leaks as the snow melts. Your best bet for preventing ice dams is to insulate your attic so that less heat escapes through the roof. You should also invest in an aluminum roof rake that will allow you to pull snow off of the roof from a safe location on the ground. Also, make sure that your gutter systems are clean and free of debris, so that they don’t trap standing water and allow ice to form. Installing a gutter shield before winter can help prevent debris from building up and stop water from accumulating in your gutters. Finally, consider Helmet Heat®, which melts snow and ice before it can build up and cause problems. Taking steps to protect your home from the winter weather will allow you to enjoy the fun of the snow without worrying about the damage it may cause. For more tips on protecting your property, visit our website.